Bio and Performance Record: Wildfire is by the famous “Quidam de Revel” who was also the sire of the great producer “Nabab de Reve” among others. Under Hervé Godignon Quidam de Revel achieved extraordinary results in the showjumping sport. With Godignon he won team bronze medal at the Barcelona Olympics and was fourth individually. They won many Grand Prix’ and competed several times in Nations Cups. On the World Breeding rankings for jumping stallions he was at the top of the list two years in a row. Several of Quidam’s offspring jumped and are still jumping on Grand Prix level. He produced over 180 approved sons. Well known offspring are Bianca D’Amaury, Tlaloc la Silla (Dollar de la Pierre), Quite Easy, Quite Capitol, Quidam’s Rubin, Quasimodo Z. Guidam (sire of among others Authentic and former European Champion Ninja la Silla), Nabab de Reve (sire of London), Quinar, VDL Groep Verdi, Narcotique de Muze IV, Kyraleen and many more. Dam “Prestige de la Vallee” aka “Jade” was a successful competition mount for Olympic Gold Medalist Eric Lamaze, and 3 time Canadian show jumping champion Yann Candele, and the NAYR senior mount of Sydney Vince. 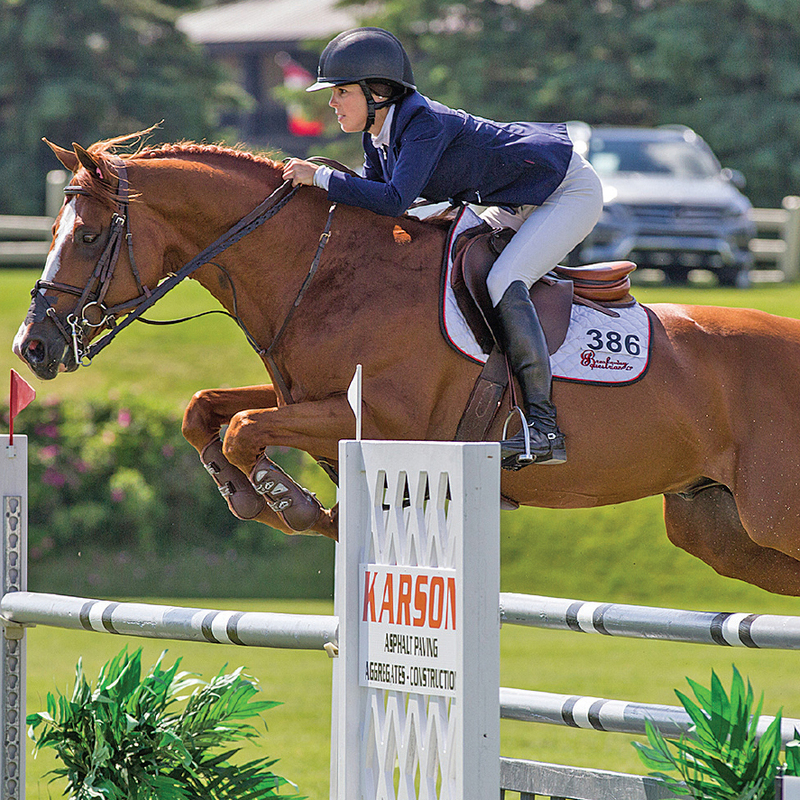 She had consistent results at the Grand Prix level and is a proven performance mare.